It has been a quiet few months here at "Joy & Forgetfullness", but the stillness here has been matched with manic activity in what the boorish call real life. 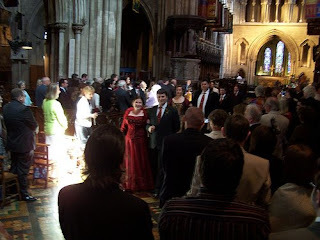 The big news is that on the 20th of June my darling wife and I became Mr & Mrs. Kinch in a ceremony in St. Patrick's Cathedral, Dublin. It was proudest and most joyous day of my life. 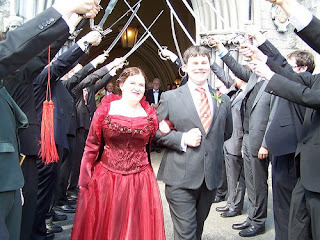 Mr & Mrs Kinch leaving St. Patrick's Cathedral through a sword arch provided by members of the John Buford Memorial Society & Gentlemen's Supper Club. The arrangements were not without their troubles; we had arranged to hire an 18th century Guild Hall in which to have the reception, however, due to skullduggery on the part of the Guild Hall's management we were left without a venue with eight days to go. We took it all very seriously as you can see. 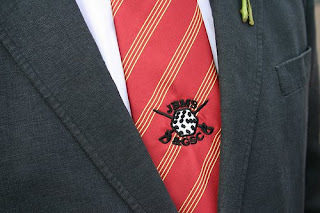 The club tie in all its scarlet & gold glory. One would have thought that this would be an insurmountable problem, but my uncle in law, an eccentric gentlemen who happened to have a Georgian townhouse about his person that he wasn't using that weekend and put it at our disposal. His daughters served food, his sons tended the bar (and plumbed in an extra bathroom at two days notice), aunts cooked and the whole thing worked. The Wedding Cake made by Mrs. Kinch's own fair hand. 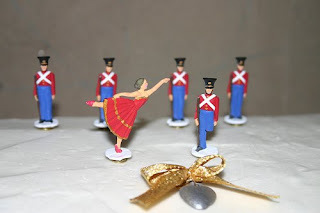 Toy Soldiers by Prince August. Wedding out of the way, we were off to England for our honeymoon, which was spend in Bath, Longleat and London. It was magnificent and if such a thing were possible, I think I came back an even more raging Anglophile then I went. But enough of this shilly shallying! Where's the wargaming? 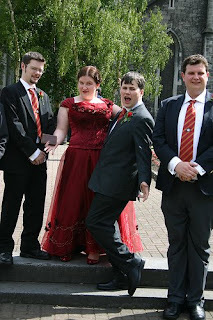 Well, it's been quiet between; getting married, going to weddings (counting our own, nine this years, phew! ), trying to join the Gardai (the wheels turn slowly, ever so slowly) and get a book published (15 rejection letters and counting), have all been eating up my time. There has been time for a little gaming & painting. I've been playing Kriegspiel, which is a magnificent game. I'm using the Free Kriegpsiel & Generalship Game rules from Paddy Griffith's "Napoleonic Wargaming for Fun"*. I've run the a game of the Waterloo campaign once, which ended in a narrow French defeat outside of Brussels. This was run in the pub and I think throughout the whole evening I managed two pints and a great deal of running up and down stairs from player to player. Who says wargaming is bad for the waist line? I'll put up a report about it shortly. The second game, which is being conducted by email is in full swing, but it is also looking like it's going to be a narrow French defeat outside of Brussels. Both Wellington and Napoleon were hit in the first series of attacks, though Bonaparte is looking like he'll recover first, though he has lost his left arm poor chap. Thus far the French player has always decided to hit Wellington first and the the British player has always tried to run away. If this happens a third time I may have investigate the game design. I've also played a couple of games of Warhammer Historical's "Legends of the Old West", though we did use the "Alamo" big battles expansion** and Napoleonic troops. These were good fun, it was a change to play an honest to God toy soldier game with dice rolling and single figure removal and all that flapdoodle. The game is quite Old School in approach, though I can't say I'm desperately fond of the points system. It manages to dodge the worst excesses of the other Warhammer games, how exactly I don't know, I can't really remember what was wrong with them. I played it and enjoyed it and that's enough for me. The other good piece of wargaming news was that I managed to get a copy of "Charge!" from abebooks without having to pay a King's ransom. I can now see why this little book has inspired such loyalty from its readers. The rules may be a little complicated for my tastes, though I've yet to use them in anger, the writing more than makes up for them. 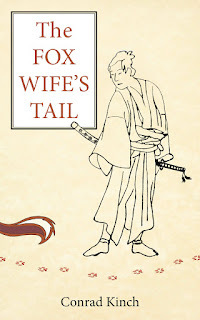 The authors have created a small, but vivid world and painted it with a subtle palette that charms the reader. Certainly wins the presentation copy of "With Clive in India" for most charming wargaming book I've ever had the pleasure of reading, outdoing even the breathless enthusiasm of Donald Featherstone. There has been more painting, mostly 54mm Austrians and American Civil War types for a Little Wars game next Febuary, though I may put on a demonstration game at a convention in September in the interim. More 1/72 plastics have arrived (to Mrs. Kinch's dismay) to feed my hunger for Napoleonic troops in marching poses. The fit took me to put together a regiment in the style of "Charge! ", so I've converted some pioneers, ordered pack animals and vivandieres and will hopefully be able to put one in the field in the not too distant future. *Which for all that Paddy keeps running it down is a cracking book in my opinion. **Though when they say big battles they mean about a company a side. Oh how we laughed.